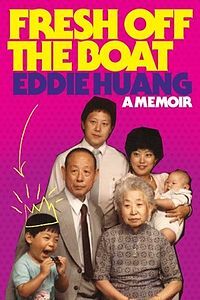 Gather together for the special two-episode preview of ABC’s groundbreaking new Asian American family comedy “Fresh Off the Boat,” inspired by Eddie Huang’s bestselling memoir, on Wednesday, February 4, 2015 at 8:00 PM, at The CIRCLE NYC, 135 W. 41st St. in New York. The event is free (cash bar) and will feature a Live Talkback featuring Jeff Yang, Hudson Yang who stars as Eddie Huang, and special guests Erin Quill (original cast, AVENUE Q), Greg Pak (writer, BATMAN/SUPERMAN; STORM), Richard Lui (anchor, MSNBC). Hudson Yang stars as Eddie in ABC’s Fresh Off the Boat. 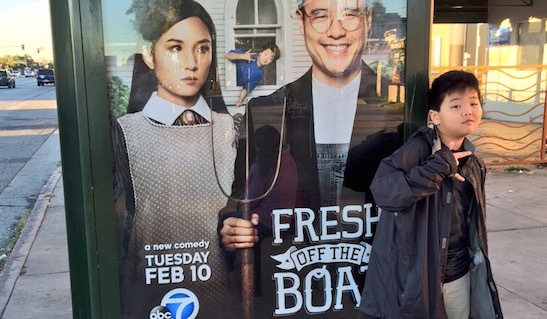 “Fresh Off the Boat” will be sampled twice in ABC’s Wednesday night comedy block on Wednesday, February 4, 2015, at both 8:30 and 9:31 p.m., followed by its time slot premiere on Tuesday, February 10, 2015 (8:00-8:30 p.m., ET). “Pilot” — It’s 1995 and 11-year-old hip-hop loving Eddie Huang has just moved with his family from Chinatown in Washington D.C. to suburban Orlando. Eddie’s dad, Louis, has dragged the family to the ‘burbs to pursue his version of the American dream, opening Cattleman’s Ranch Steakhouse, a struggling western-themed restaurant. Louis thinks that the best way to get customers in the door is to hire a white host to greet them and make them feel comfortable. Eddie’s mom, Jessica, has agreed to the move, but she finds Orlando a strange place — from the rollerblading stay-at-home moms, to the hospital-like grocery stores, to the fact that the humidity has ruined her hair. Louis and Jessica clash over how to raise the kids and how to run the restaurant. When the boys get straight A’s in school, Jessica decides that their school must be too easy and takes it upon herself to give them more homework and tutor them after class. She takes the same strict approach at the restaurant (no extra croutons for anyone! ), so it’s up to Louis to get her to lighten up on everyone. 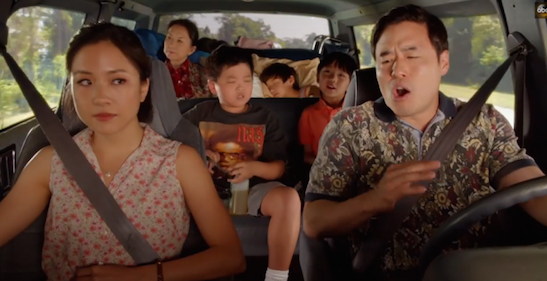 Click here to watch trailers of “Fresh Off the Boat”. Special Thanks to Bobby Kwak and The Circle! 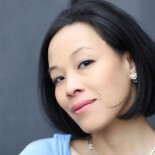 This entry was posted on January 24, 2015 by Lia Chang in Asian American Artists, Asian American Issues, Chinese American History, Entertainment, New York, Television and tagged 18MR.org, 20th Century Fox Television, A Little Mandarin, A3 at Time Warner, ABC, Asian American Alumni of Princeton, Asian American Arts Alliance, Asian American Bar Association of New York (AABANY), Asian American family, Asian American Journalists Association, Asian American Legal Defense and Education Fund (AALDEF), Backstage Pass with Lia Chang, Beijing Club of New York, Center for Asian American Media, Chloe + Isabel by Tiffany Yu, Comedy Series, Constance Wu, Dartmouth Asian Pacific American Alumni Association, Eddie Huang, Forrest Wheeler, Four Seasons International Corp., Fresh Off the Boat, George Gee Swing Orchestra, Harvard Asian American Alumni Alliance, Hudson Yang, Ian Chen, Jake Kasdan, Jeff Yang, Kollaboration New York, Lia Chang, Little Dumplings Videos: Fun with Mandarin, Melvin Mar, MSSNBC, Museum of Chinese in America, Nahnatchka Khan, Nielsen's Asian American Link, NYU APA INSTITUTE, Randall Park, Richard Lui, Taiwanese American Professionals - New York (TAP-NY), The Nerds of Color, UF Association of Asian Alumni.